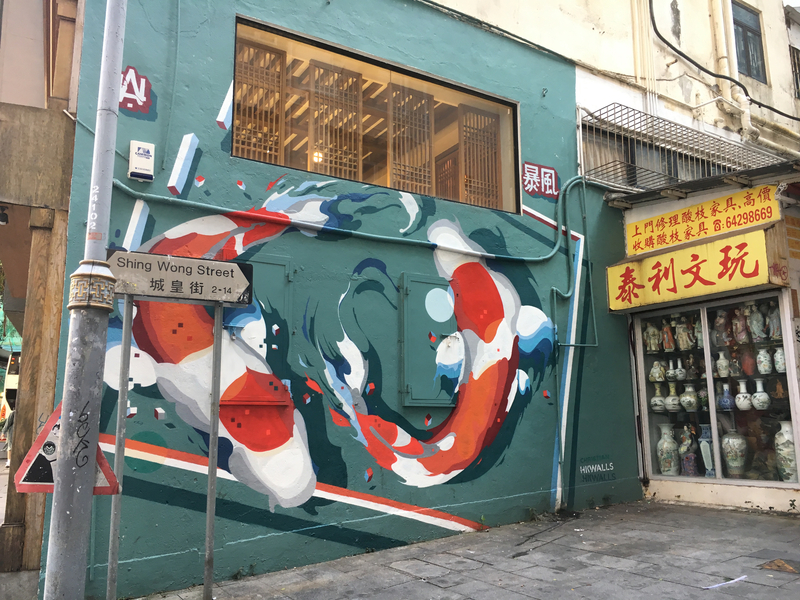 Painted during the 2018 HK Walls event, this beauty encompasses oriental elements of Koi and a bright palette which is great for photographs. Done by Christian Storm. Recognise a few faces? Yes! Felix the cat, Astroboy and Pikachu mash up is now at Star Street. Done by Jerkface. 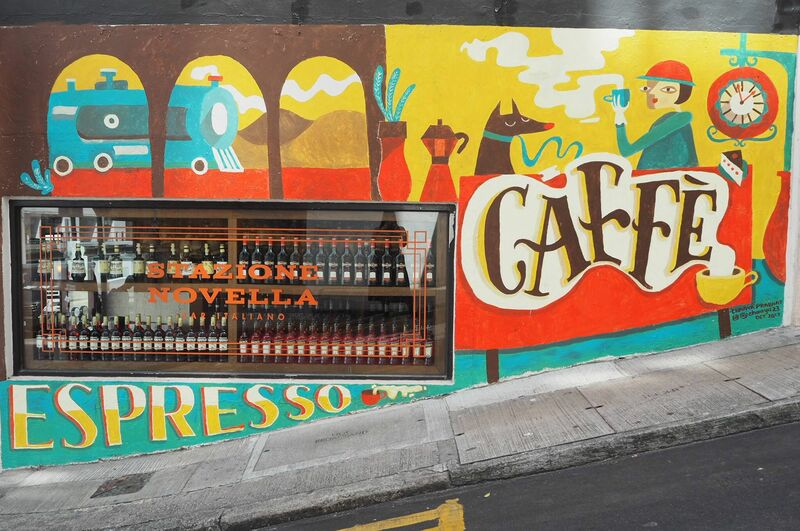 Soho boasts plenty different murals and graffitis, explore the area on foot and you’ll find all sorts of delights! The exterior was decorated by the talented Okuda San Miguel, making the entire building stand out from its dreary neighbours. Find a high vantage point for a good shot. 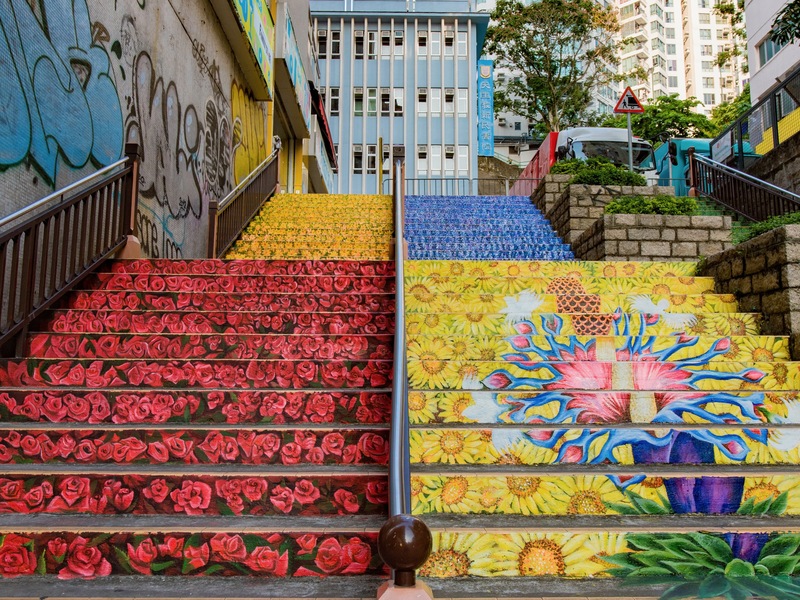 Though known as a shopping paradise for many, Harbour City has its artsy side. The Invaders have clearly been rampaging this wall here. Done by our infamous “Invader”. Colour steps make an excellent backdrop for photos and a great place to take fashion shots or OOTD shots! 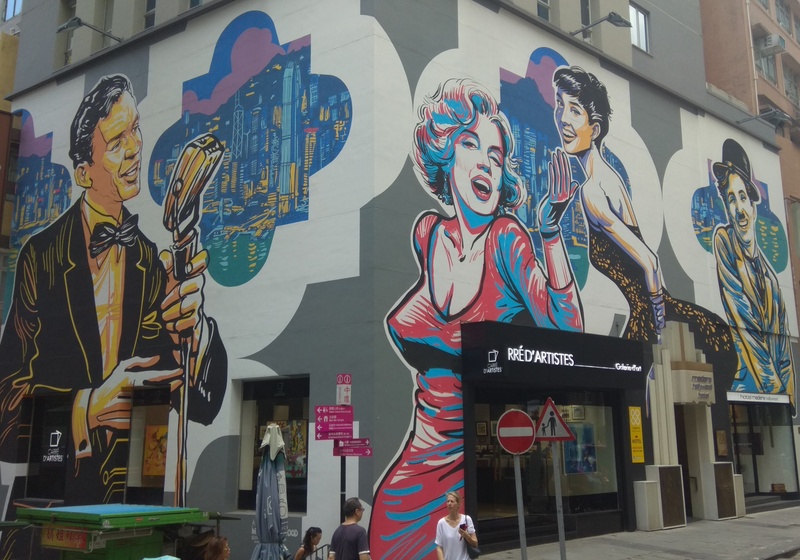 Colourful and vibrant, various artists have came together during the past HK Walls activities to create beautiful graffitis all over Sheung Wan. Liking these graffitis? Why not live nearby so you can explore the area and see every single one of them? Stay in Sheung Wan with BlackDoors!